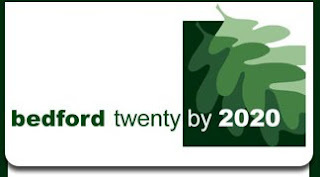 The Town Of Bedford has a goal under way to reduce CO2 emmissions 20% by the year 2020. You can join the campaign for BEDFORD TO GO GREEN by clicking here. If you sign on, they will send you a great looking Bedford twenty by 2020 decal to show you’re part of Bedford’s solution to global warming. In addition the site provides tips on how you can help in this effort. ecomii™ is in beta and bills itself the definitive destination for objective information about Conscious Consumerism and green living on the net. It seems to be a great site as a tool to make one very savvy about all things GREEN. umapper.com is a great site to create maps of all kinds of interest that you can embed in your own blog or website. Here is one I have done of 12 places to eat in Katonah. Tip: Use your mouse to scroll around the map as well as the + (zoom in) and - (zoom out) tags. ideas of interest that you could plot on a map. If you come up with an idea for using umapper as it relates to Katonah, like to know about it.